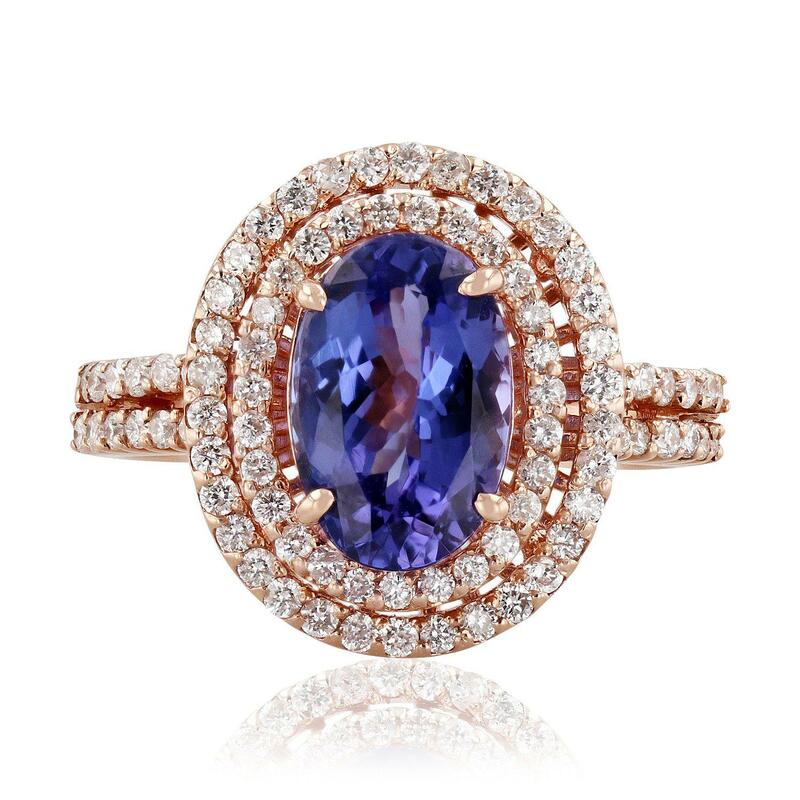 One prong set oval modified brilliant cut natural tanzanite, measuring 10.18 x 6.65 x 4.61mm, approximate weight of 2.35ct., clarity is eye clean, type I, medium dark, moderately strong, violetish blue color, (GIA vB 6/4), cut is good. Transmitting light with no distortion, transparent. Colored gemstones are presumed to have been subjected to commonly used enhancement processes. Graded in the setting. Eighty-five prong set round brilliant cut diamonds, measuring 1.30 - 1.20 x 0.79mm (depth est.) approximate total weight of 85 Stones = 0.67ct. Graded in the setting. Total Weight of Colored Stones 2.35ct.